The last few weeks were a fight between Spring and Winter. 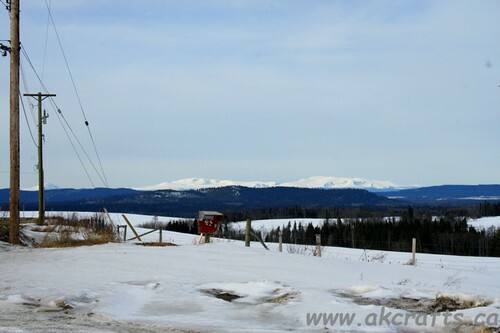 Few days with sunshine and the snow started to melt away and over night we got 4 cm of new snow. It was like you go 2 steps ahead and 4 steps back. But I can smell it in the air and feel it in the wind ~ Spring must be around the corner. But I managed to finish my Corner to Corner blanket “Waterlily” and I love it. The colors are so vibrant and Schachenmayr Bravo Yarn is soft and easy to work with. 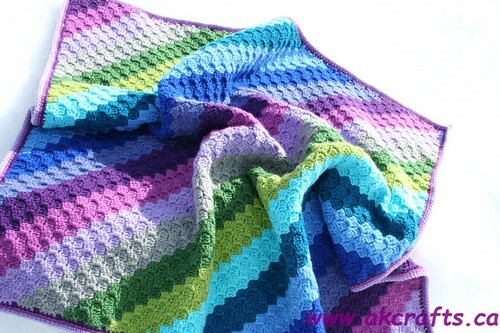 The color recipe of this blanket is – medium grey heather, lilac, orchid, purple, iris, royal, sky blue, teal, lagoon, lime and fern. Next week I will be listing the pattern for my Waterlily blanket and also a crochet kit, so that you can crochet your own Waterlily blanket. 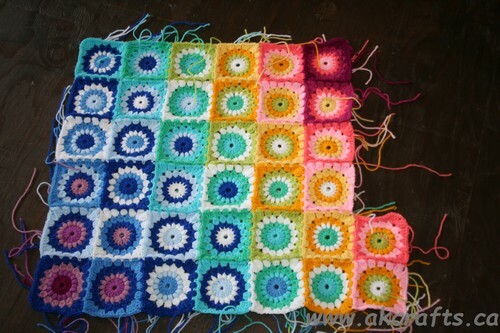 Right now I am working on a sunburst blanket and it is really colorful 🙂 …. I needed some color in my life to fight my winter blues.